Sanjukta Parashar, an IPS officer (Assam cadre), has carried an anti-terrorist operation in the jungles of Sonitpur. Her photographs of this operation have recently been viral on social media. She is looked with her team whose hands have clutched AK-47 rifles. Parashar has been working with her team for anti-Bodo terrorists operation since last 15 months. She has yet killed 16 terrorists under this operation, while 64 have been arrested. Weapons and explosive in large scale have been recovered together. Sanjukta Parashar and her team have arrested 175 terrorists during 2014; while its team score during 2013 were 172. She has completed PHD in JNU Delhi. She had qualified civil service examination on 85 th rank; became IPS officer of the year 2006 and she was appointed as first woman IPS officer in Assam. She has a son. 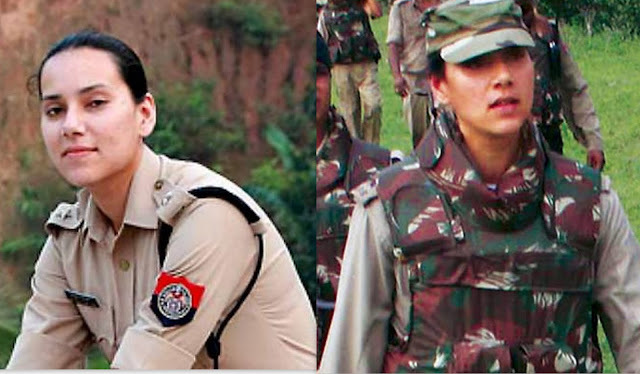 She was posted first in 2008 as assistant commandant in Makum, and later she was deployed to control the ethnic violence between Bodo and Bangladeshis in Udalguri district of Assam. If she had been voluntarily interested in desk job, she would have easily got it; but she chose her harder path and fighting against the terrorists.